The Aberystwyth Brass Summer School is open to established Brass Ensembles and individual brass players who wish to join others to form a chamber ensemble for the week. The Summer School is offering an intense schedule beginning early in the morning with group warm-up sessions covering healthy brass techniques and wellbeing. Throughout the day and into the evening there will be Chamber music tuition, opportunities for solo playing in a masterclass situation, classes in performance, presentation and audition techniques. The evening sessions will be rehearsing music for Symphonic Brass Ensemble and covering some major Symphonic and Operatic repertoire. The culmination of the Brass Summer School will be a concert to be given on Thursday 1st August. 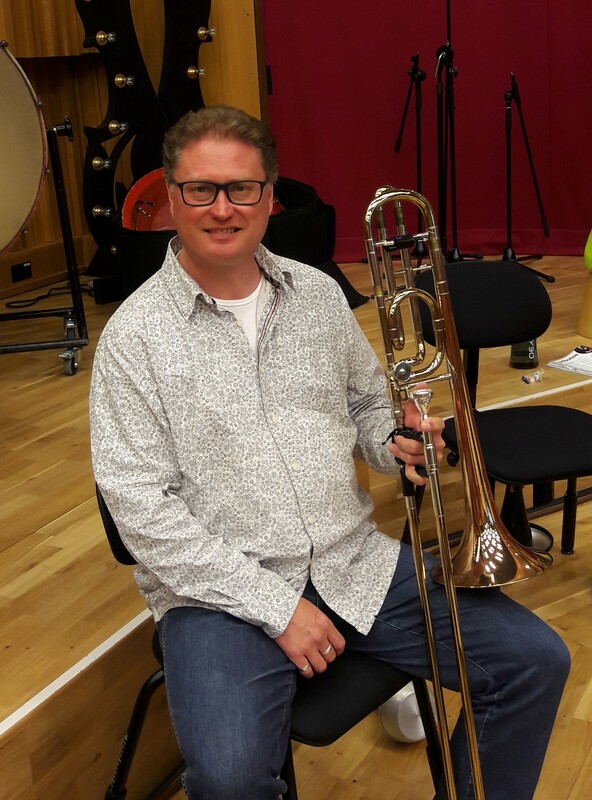 The coaching and classes will be given by Dean Wright, Principal Trumpet of Welsh National Opera and Philip Goodwin Sub-Principal Trombone of BBC National Orchestra of Wales. Both of whom are also teachers and chamber music tutors at the Royal Welsh College of Music and Drama. You can request a space on this course here. Applications will be reviewed, and if accepted we will send full information on course joining and fee payment via email. We aim to respond within 7 days to your reservation request. Y Feiolinydd Meistrolgar Elena Urioste yn ymweld ag Aberystwyth am y tro cyntaf.